Lazy Man often gives us a look into his financial life, so I decided to do the same. I’ll be a little (a lot) more vague than Lazy Man, but will hopefully give you a slightly different viewpoint. At 43 years old, I’m roughly halfway through what Sam Miller refers to as “this horrible, rotten slog toward rigor mortis”. It seems like this might be a good time to see how I’m progressing. Let’s take a look as some aspects of my financial life. Employment is a big piece of the financial puzzle. A year ago, when I found myself on the brink of being pushed out of a job I had been at for twenty years, I had my first real encounter with imposter syndrome. 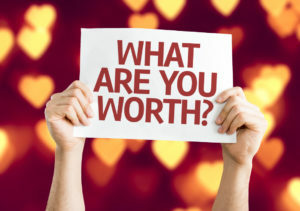 What if I wasn’t worth what my current employer was paying me? What if I was 10% overpaid? Or 20%? or 30%? Or what if my particular role wasn’t in demand in my metro area? A year later, I’m much more confident about my abilities and my future. I went from being a somewhat above average employee at my previous job to being a substantially above average performer at my current gig. Part of this is because the new job allows me to use more of my skills than the old one. Another factor is that my old team had been in place for years and had many high performing veteran employees, whereas my new team was only established a couple of years ago, and is largely staffed with fairly inexperience employees. In essence, I went from being a small fish in a big bowl to a big fish in a somewhat smaller bowl. My boss is fairly young, and I think he could stay in this role for quite a few years. That bodes well for me, because we have a good relationship, and I like the dynamic he brings to the team. We’re both sports fans – something that really shouldn’t matter, but does allow for pleasant small talk. There’s no such thing as a sure thing, but I think I’m as well positioned as I could be. Additionally, the new position is allowing my to use my accounting knowledge (which I had never used in my old job), making me more marketable if I have to look for another job. That’s only half the employment equation, though. My wife is a CPA who works for a large university in the area. She also has substantial experience in public accounting, so she has a lot of marketable experience. Quite honestly, she’d have an easier time finding a job with comparable pay than I would, because while nearly every company needs accountants, not every company needs business analysts. How are we doing day to day? Are we able to cover our immediate expenses with our income? A lot of people live paycheck to paycheck. Happily, that does not describe us. Despite some heavy expenses (BASP, I’m talking about you), we’re creating positive cash flow – covering our immediate expenses and leaving some left over to invest. We’ve also had a couple of infusions of cash in the last couple of years – an inheritance from my mom’s estate and then my severance payment from my older employer. Combined, they were the equivalent of a year’s worth of salary for me. Not enough to retire on, but enough to give us financial flexibility. These were one-time blips on the financial radar, but very helpful. We live on a quiet street in a quickly growing (but still quiet suburb). Since we live in Iowa, this means that housing is more affordable than the coasts or major metro areas. Our house is less than 15 years old, has almost 1500 square feet on the main floor, plus almost 1200 finished square feet in the basement. Additionally, we have an unfinished storage area of about 200 square feet. We have a 15 year mortgage that we’ll pay off just as the youngest kid graduates from college. The mortgage, interest, and escrow are barely above 10% of our gross wages. Our oldest kid is in fifth grade, and her brother is in third grade. My wife and I are both first generation college students. I worked myself through college, which allowed me to graduate with “only” $25,000 in student loans (in 1997 dollars). My parents weren’t able to assist me financially. Our kids will be more fortunate. We been contributing to 529 plans for them for years, dumping a substantial chunk of change into the accounts each year. There’s a strong chance the kids will go to the local university. That will help us in a couple of ways – the tuition will be cheaper than a private school, and they could conceivably commute (15-20 minutes) to campus. That would save us approximately seven billion dollars. Additionally, both kids are excellent students, so I have my fingers crossed that they might land some merit-based scholarships. The need-based financial aid I received as a student is unlikely, due to our presence in the middle class. You might be wondering if this is the same university my wife works for, and whether there is a tuition waiver for the children of employees. The first answer is yes (the university that is the in-state rival of my alma mater). Unfortunately, the second answer is, at the moment, no. There’s always the chance that things could change, but we’re definitely not counting on it. Which brings us to the elephant in the room – retirement planning. First, I’ll openly admit that we’re not maxing out our contributions. Honestly, kids are expensive, and we want to stay somewhat flexible with our current finances. We each do contribute a pretty hefty amount each month, though. My wife’s employer also kicks in about 10% of her salary to her retirement account. My current employer puts some money into both a defined contribution pension and a 401K. Currently, they contribute a total of 7% of my salary, and this will grow a bit over time. I also have a defined benefit pension from my old employer than will pay me slightly more than 20% of my current salary when I reach age 62. So, even though we aren’t maxing out our contributions, the total of our contributions, our employers’ contributions, and the pension from my old employer create a fairly sizeable next egg than will continue to grow in the two decades I have left in the work force. One other thing to note is that when I’m 57, our expenses should drop dramatically, as our youngest kid will be graduating from college and our mortgage will be paid off. That will give us the opportunity to dump extra money into our retirement plans in our final years in the workplace. There’s a catch-up provision for many retirement plans (including 401K) that allow people 50 or older to contribute an extra $6000 beyond the normal limits. If you’re in this age range and are in the position to make extra contributions, look into the catch-up provision. All these plans are great, but an untimely death of myself or my spouse could wreak havoc on the family, both emotionally and financially. The emotional side would be awful to work through, but we’ve planned for the financial impacts. We have enough term life insurance to effectively replace our income through the age of retirement. So if one of us shuffles off this mortal coil earlier than expected, it shouldn’t completely derail the family’s financial train. Another factor is that I’m keeping a close eye on things. I track the growth our 529s against the projected costs of college. I project the balances of our various accounts at the time of retirement, and estimate what our expenses will be. I have a set of projections that include social security and another set that doesn’t – and rely more heavily on the projection that doesn’t include social security. Overall, we’re in good shape. If our salaries continue to move along their current paths and our investments follow historical trends, we should be able to live a comfortable, if not luxurious, retirement. Have you done your own financial checkup? How are you doing? When I first started this blog a decade ago, I would write regular net worth updates. A lot of anonymous bloggers did it. I shouldn’t use past tense as there are still hundreds who still do it. However, many of the people who I followed back then don’t do it any more for a variety of reasons. As you can tell from the title, I’ve had a change of heart of late. Why? Last night I went to my kids’ school’s parents conference. The headmaster had some interesting things to say about education about nowadays. One of them that stuck with me is that the students can get more information from a computer than a teacher. This is leading towards more “student-centric” learning vs. “teacher-centric” learning. There are pros and cons to each, but students who are motivated to learn can get more out of “student-centric” learning. … but motivation is more important than ever. There are very few things more motivating than tracking your net worth over time. Once you start automating your finances, your net worth grows and you don’t even need to do anything. We max out our retirement accounts (pay ourselves first). Our investment properties (after years of losses due to buying at the wrong time) are paying off significant principle. We have to pay money to keep the properties renovated, but the mortgage is going down each month and the property values tend to go up (sometimes a little each month… sometimes a lot). In short… do a few simple things over time and you’ll see great results. If you see great results they will snowball. The best way to keep track of your net worth is Personal Capital. It’s free! I have soooo many brokerage accounts (TD Ameritrade, USAA, and Fidelity to name a few) and even more bank accounts than that. My wife has a few different accounts and we have mortgages all over the place from our investment properties. Personal Capital keeps everything in one place and it uses bank-level security. Did I mention it is free? I’m going to steal borrow from Mrs. Our Next Life. 1. Comparisons aren’t always helpful. We live different lives. Mrs. Our Next Life doesn’t have kids and we have two. We have different jobs that earn different amounts of money. It’s like comparing a score in King Kong to a score in Pac-Man. It’s not even apples and oranges. That said, it may be helpful to have a broad idea of where we are with our finances. You can get that kind of broad from an article I wrote a couple of years ago: What Does an Annual $200,000 in Retirement Income Look Like? 2. I’m not really anonymous. The engine that makes sharing financial work is anonymity. No one wants their long lost cousin calling them up asking for loans. 3. Lawsuits and such. In helping consumers protect their money, I expose scams. Companies scamming people don’t like that. They use the money they’ve scammed out of consumers to hire lawyers to sue me using “alternative facts” to say that I defamed them. One of those alternative facts is trying to argue that my motive to help consumers is to make money damaging other companies. That’s obviously not true, and I don’t think I’m ever the first person to label these scammers as scams. 4. My net worth numbers aren’t always accurate. For years, I included my net worth, because those were the numbers I had. Then I got married and we’ve slowly merged our financial lives over the last 10 years. There are still a few accounts of my wife’s that I don’t have access to. For example, I can’t sign into her government TSP account to get an exact number. Some months, she does give me exact numbers. Other months, she’s busy so I just estimate the numbers as best I can. It’s good enough for my purposes, but not perfect like many other bloggers who track things down to the penny. Our net worth went up 0.8% in January. That’s nearly a 10% pace for the year. I’d love to that was due to some hard work, but it was simply what it is every month, real estate and stock markets doing their thing. We would have had a bigger gain, but we had a tenant move out which lead to some renovations. I also haven’t made much money with the blog as I’m still in the middle of redesigning the site. Also January is typically a slow month for the dog sitting business. And this January was no exception. February’s dog sitting income is already nearly double all of January. Some bloggers track all their earnings and expenses down to the dollar. I’ve never been a fan of such vigorous budgeting. I use the the third budgeting system, which is just to focus on not overspending. Ask the Readers: Is this Helpful? Assume for a bit that I had a more eventful month and/or covered it in greater detail. Imagine that I had a nice graph. Is it useful to read that my income was up 0.8% in January when you don’t have the exact numbers? 2017 is already underway and many New Year resolutions would have started fizzling out under the realities of the natural human tendency to resist change. Interestingly, some of the commonest New Year resolutions that we make often involve important personal finance goals such as getting out of debt, saving more money, and simply taking control of our financial destinies. The economy could sure use more people with healthy finances because in increase in our individual wealth reduces the strain on social services. This article provides insight into three personal finance wisdom nuggets that can help your stay financially healthy in the next 11 months. 2017 is already underway and we can expect a new generation of consumer electronic devices to debut. From smartphones to smartwatch, computers, tablets, digital personal assistants, and connected home devices; bigger, thinner, smarter, and more expensive devices will surface. Last year’s technology will still work almost as well as the new devices because tech firms are only coming to market with marginal improvements over last year’s tech. My wife and I are still rocking a Nexus 5 that are probably around 3 years old now. So if you haven’t bought the iPhone 7 until now, you might want to wait a couple of months more for when the iPhone 8 debuts – you’ll should be able to buy the iPhone7 at a discount. Love him or hate him, Trump is going to make a difference. Passive investors who tend to buy a couple of stocks and go back to sleep with the expectation of gains at the end of the quarter should probably rethink their strategy this year. Index funds and diversified investments are your friends as usual. You’ll need to pay more attention to news outlets this year if you plan to be involved in the financial markets trading stocks, forex, commodities or other types of asset this year. Victor Alagbe, analyst at 24option notes that “by tradition, the POTUS usually avoids making direct references to stakeholders in the financial markets.” You can expect president Trump to deviate from the norm. He would not hesitate to give a piece of his mind or a Tweet of his fingers on any firm or executive that crosses his path and such outburst will have a material effect on moving the markets. 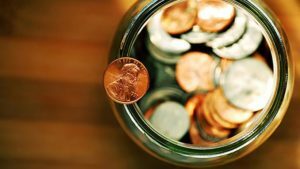 You might have been able to survive 2016 without an emergency savings fund (quite unlikely) but it is unlikely that you’ll escape unscathed this year. Murphy’s Law states that “if anything can go wrong, it will go wrong”. Hence, you need to expect that the plumbing will go out of hand, your smartphone will fall more times that you expect, and you might need to your dog might need a surgical procedure that must not be delayed. We are still in the first month of the year and this is the best time to create a $1000 emergency savings fund. You might also want to go the extra mile to save up a raining day fund that you help you cover your living expenses for three to six months in case you lose your job suddenly. A couple of weeks ago I asked Are Roth 401(k)s and Roth TSPs Better? in response to an article in Money Magazine. I attempted to give an answer in part 2 the following day. The argument was complex and worth reviewing those posts for more detail, here’s the shortest version I give. Because many people simply put a percentage of their salary (say 6%) in a retirement account, it is better to got with a Roth 401(k) over a traditional one… you’ll end up with more money in most scenarios. Mathematically, I still don’t fully grasp it. However, at the time it was explained to me, it made sense. “According to conventional financial theory, the world and its participants are, for the most part, rational ‘wealth maximizers’. However, there are many instances where emotion and psychology influence our decisions, causing us to behave in unpredictable or irrational ways. Maybe that definition isn’t exactly fitting of the situation, but it seemed like the idea was to tell people to go with Roth 401(k) because in general circumstances it will turn out better. I’ve never been a fan of such financial generalizations. At the time, I cited people who give the advice, “Cut up all credit cards.” It makes me cringe because I use credit cards to save thousands of dollars a year and never pay a finance charge. I also don’t spend more money, because it is “less painful” then spending cash. To me it is exactly the same. On one hand, I want to say this behavioral finance stuff is terrible. Instead let’s just educate people so that they can be ideal “wealth maximizers” (love that term). If we show people how to make great financial decisions, they’ll be better served in the long run. On the other hand, I want to say, behavioral finance could be useful. It’s easy for me as someone who blogs about personal finance on a daily basis to say, “let’s teach people.” However, I think there are a lot of people who are ummm, well too Lazy (in the bad sense), to learn. Maybe they are preoccupied with some of life’s other problems. So for those people, maybe just telling them what to do is the right thing? You may be able to tell that I’m leaning towards behavioral finance being bad. I think people should learn all they can about how their money works from a mathematical view. It’s okay to point out the psychological pitfalls, but I don’t think that should be the horse that pulls the wagon. What do you say? Let me know in the comments. … but we already knew that right? Or maybe we all didn’t. I’m not writing about buying a new car (that article might be tomorrow), but I’m writing about getting a car repaired. As I mentioned yesterday, my car broke down earlier this week. It’s a ten year old Jeep, so it’s not of tremendous value and it’s been having more breakdowns of late. Since I have a Jeep dealership near the house, I decided to bring it by and get it looked at. They called back and told me it would be $1000 to fix. I asked what was wrong and they said the cooling fan was broken and it needed new spark plugs. I thanked them and proceeded to hang-up and call my local mechanic. Over the phone they said it would probably be $400, but in person today I think it might even be cheaper than that. Saving $600 (or more) on a phone call? Eat your heart out Geico. I shouldn’t say that every car dealership is a rip-off when it comes to repair, but that’s been my experience and this just cemented that. What’s your experience with car dealerships? Let me know in the comments. Before we got the diagnosis that it was a reasonable fix, my wife was thinking of donating it to Kars 4 Kids. She called them and they said they’d be able to give a tax write-off of whatever they sell it for after their costs for fixing it, but that it would be at least $500. If they were able to sell it for $4000 (below Kelly Blue Book), but used the dealership’s $1000 quote to fix it, we’d get a tax write-off of around $3000. Assuming a 25% tax bracket (just to make things easy) that’s a value of around $750 in our pockets. Alternatively, we’ll put $400 into fixing it up and try to sell it on our own for $4500 (still under Kelly Blue Book) making a profit of a little over $4000. I’m all for helping out kids, but that’s a huge difference. The $4000 will make a few payments on the new car. Let’s hope it works out as planned.